Leather label features the distinctive rooster-and-lantern insignia. Also note the cheerful yellow color-pop on the inside liner. 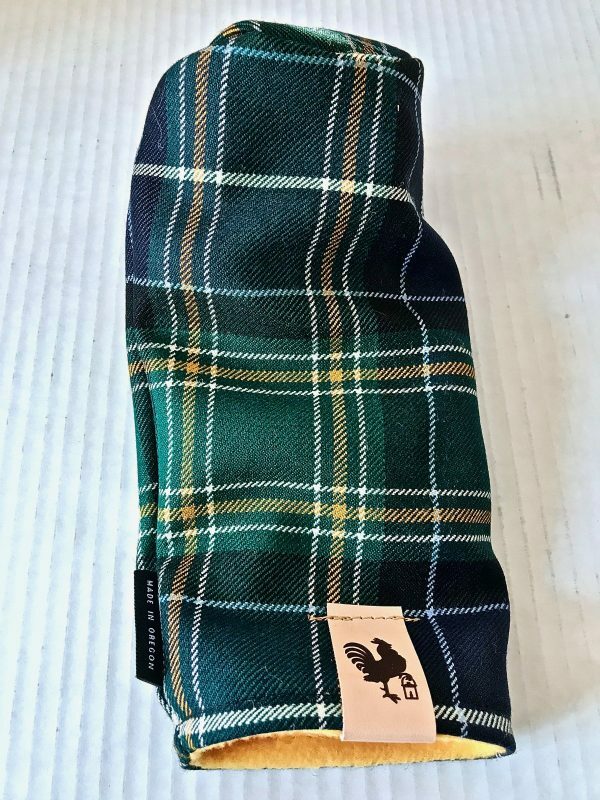 While Auld Alex himself might frown upon such luxuries, this cover is a surefire way to improve your bag’s curb appeal while subtly showing your support for one of the world’s most obscure golf journals! What could possibly be better? Not much, we say.